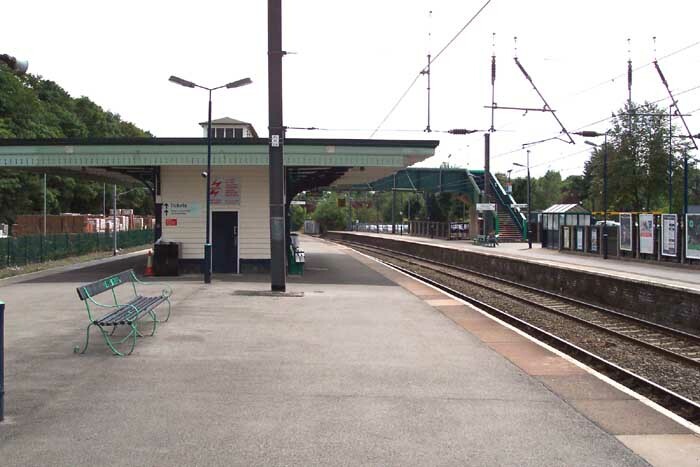 As with Shenstone further along the tracks, Four Oaks is a good example of a station that has largely escaped the penchant for blandly designed rebuilds that swept the cross-city line form the mid-1970s onwards. Opened in 1884, the former LNWR (later LMS) station has, bar the electrification, retained a traditional feel to its appearance, albeit losing its station building and various other structures along the way. 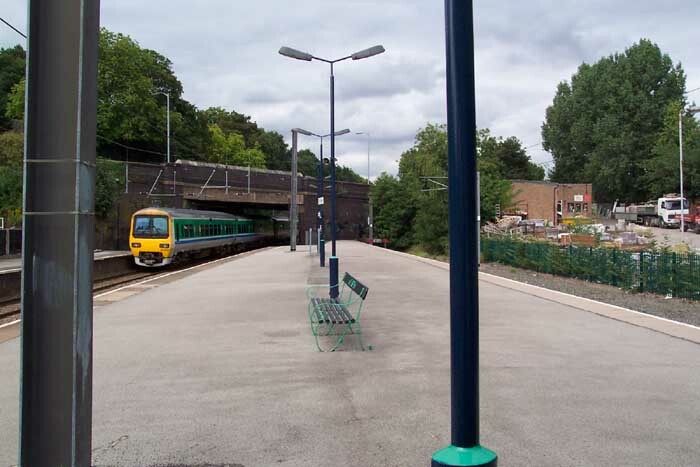 If my memory serves me correctly, Four Oaks served as the terminus of the cross-city line for some time when it was reopened for local trains during the late-1970s. 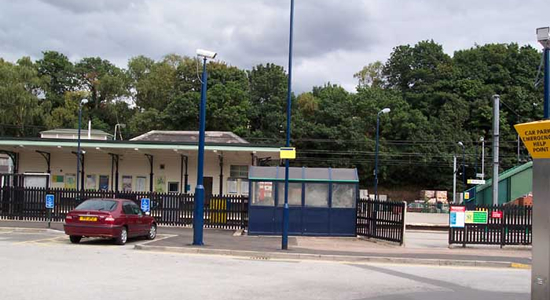 Above we see the entrance to Four Oaks Station from its Station Drive car park where once the booking office stood, August 2003. 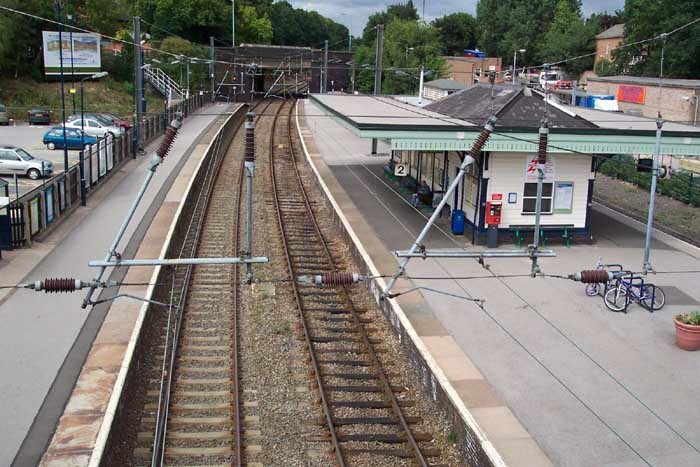 Above-left we can see the station building which is in effect on an island platform which serves Birmingham to the left - Lichfield being served by the platform to the far right. Above-right we see 32122 departing for Lichfield City. Above-left we are on the station footbridge over the Lichfield lines looking towards Lichfield. The station building has a comfortable waiting room - something of a rarity in the present day. 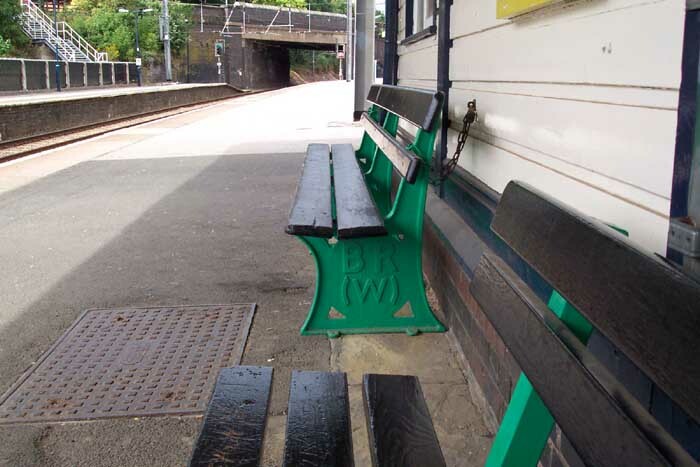 Above-right shows a relic of a bygone era: a platform bench embossed with 'BR(W)' belying its former history of the British Rail Western division.